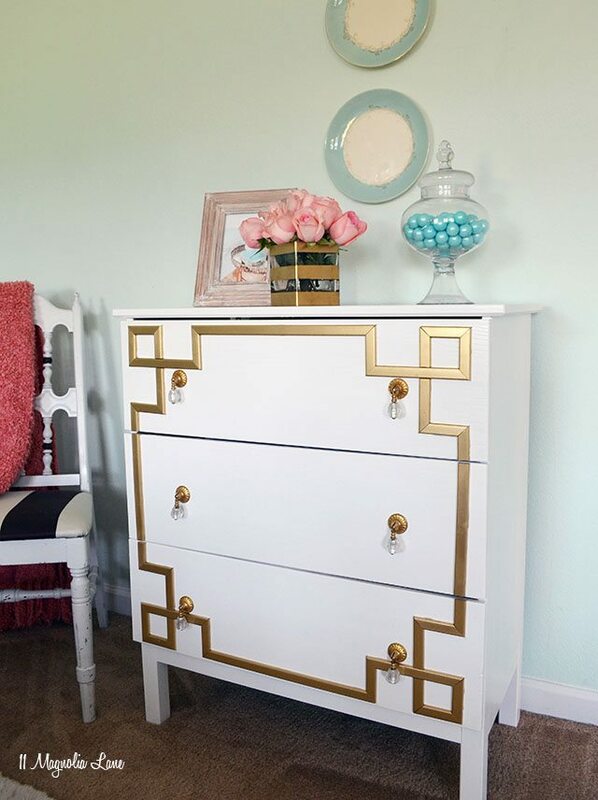 It’s that time again to see what fun preppy projects you’ve been up to lately. Whether it’s a decorating idea or even afashionable accessory, we want to see it! What’s better than chocolate? Preppy chocolate! That’s right, Brett from Being Bianca combined two beloved things … chocolate AND monograms in these simple dessert toppers. Just in time for the holidays, these chocolate monograms, with a one letter and three letter option, are a great way to prep up your holiday desserts! 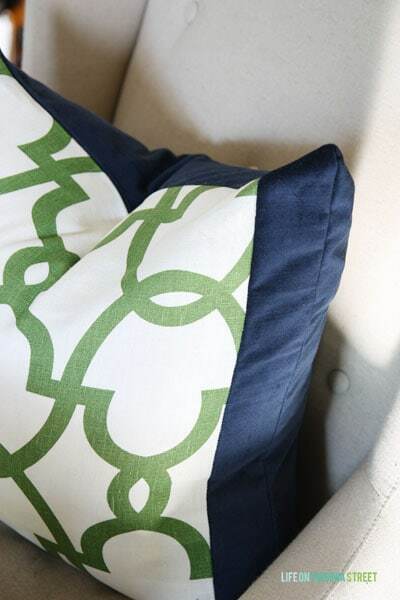 Sarah updated her dining room for fall with a DIY table runner and these navy velvet and green trellis pillows. using oyster shells for name cards mixed with prep classics. 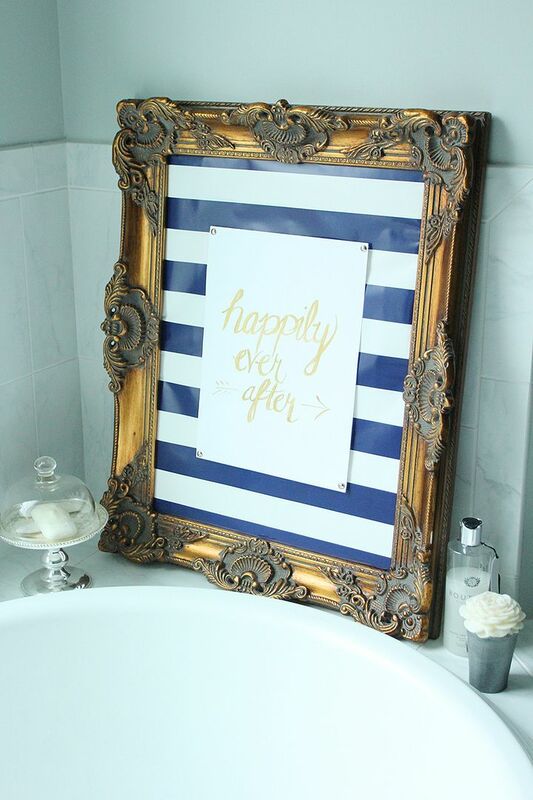 And my mini update for our master bathroom continues with some DIY hand-lettered art. For only a few dollars, you can create a custom piece with your favorite quote. And it’s easier than you think! Now it’s your turn! Link up your Prettiest and Preppiest project from the past month. You only need to link up on one blog, and your post will show up on all five blogs. Not a blogger? No problem! 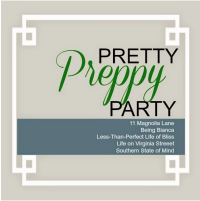 Just post a photo on Instagram, be sure to tag at least one of the hosts and use the hashtag ‪#‎prettypreppyparty‬ so we can see your prep goodness! East hostess will pin our features to ourPretty Preppy Party Pinterest boardeach month, so make sure you’re following along to see the best projects and inspiration! Each hostess will be choosing a few favorites to feature next Friday, so be sure to stop back by! OK!